You can keep your kids busy and be learning in the after-school hours with these 5 fun science projects for kids at home. Kids learn better when they’re having fun so dive into these entertaining and kid approved experiments. Assemble everything your child needs into a kit before he or she begins each experiment. Kids love rainbows but the conditions aren’t always right to see them. Or are they? Take a half full clear glass of water and hold it over a plain white piece of paper. Be amazed as the sunlight refracts through the water and creates a rainbow on the paper. Like a prism, the water in the glass bends and refracts the light, separating out the colors. It’s almost as if the water in the glass is a very big raindrop! Carefully lift the glass higher and lower to discover what new effects you can create. Document what effects you get at which heights like a real scientist would do. Want to create your own invisible ink and send secret messages of mischief? Simply squeeze some lemon juice into water, mix it up, and dip in the tip of a cotton swab. Write your message on a piece of paper and then let it dry. Give it to your friend and tell them the secret way to read your message. Hold the paper close to a light bulb so that it oxidizes the lemon juice which will then turn brown and reveal your secret message. What’s the secret? The water dilutes the lemon juice enough that the air alone won’t oxidize it, it needs the heat from a lightbulb. With a little bit of baking soda, vinegar, dish soap, and some red food coloring you can create your own lava flow. The experiment even further by discovering what vinegar to baking soda ratio makes the most active lava flow. You can even add new and different things to see what slows the lava flow down. Create a volcano out of clay to have an even more explosively fun afternoon! Just put the baking soda and a few drops of dish soap in an old pill jar inside the volcano. Next, add the vinegar and watch your volcano erupt. Just be prepared to clean up a bit of a mess or better yet, do this one outside. In a bowl of water place a piece of tissue on the water’s surface. On top of the tissue place the paperclip. Gently press the tissue with the eraser end of a pencil. When the tissue sinks, the paperclip should be left floating on the surface tension. Try different fluids to discover if they have different surface tensions. How many paper clips can you float on the surface tension of each fluid? Younger children may need a little bit of help with this experiment. In a non-metallic bowl add a quarter cup of white vinegar and a teaspoon of salt. Drop in your old dirty pennies. Count to 10 slowly, remove the pennies, rinse them off, and set them on the paper towel. Discover why they’re shiny and test to see if this method works on other coins. What happens if you don’t rinse them off? (Malachite forms and turns them green). Conduct even more experiments to see if it works with lemon juice or other acids. Learning doesn’t have to be dull and boring. Nor does it have to take place only in the classroom. 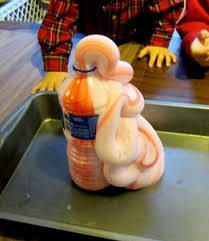 With these 5 fun science experiments for kids, you can spend quality time with your child and have fun while learning. Who knows, you might learn something new too!